When it comes to advertising, there’s something about printed media that online publications just can’t replicate. In fact, you can literally put your finger on what the difference is – it’s the touch, feel and tangibility of printed media that can never be replicated online. Continue reading to discover more reasons why magazine printing is superior to electronic media. While it’s now easier than ever to access information immediately online, using a phone, computer or iPad as a replacement for printed media publications isn’t the same. There are a number of reasons why magazine printing remains popular for businesses across Australia, primarily due to the fact that magazines still have a large edge over electronic media in many areas. If you’ve ever tried to read articles online with a mobile device on the train, you’ll be familiar with the irritating feeling that comes with losing reception. No such problem exists with printed media – along with being able to easily tuck a magazine under your arm, you don’t ever have to worry about Wi-Fi signals, data plans or network coverage. With magazine printing, you can be sure that your content will be able to be read without interruption wherever it is taken. After reading them, people often leave magazines on trains and in public places so others can benefit from them. 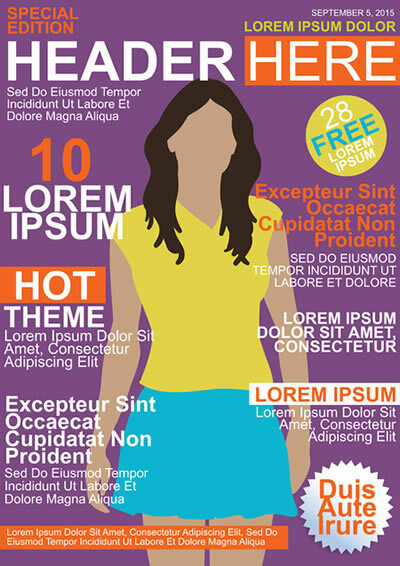 This essentially helps you to distribute your magazine to an even wider audience, resulting in a higher readership and potentially more customers. Another benefit that magazines boast is they are so easy to pick up and read. There’s no waiting for a computer to boot up and no need to conduct a search – when it comes to printed media, everything is immediate. For most readers, the font size is also ideal, meaning they don’t have to peer at tiny text on a screen. This means you can be sure that most people who receive your magazine will be able to read it easily from cover to cover. Independent Letterbox can provide high-quality magazine printing at competitive prices, allowing you to take advantage of all the benefits mentioned above. If you’d like to learn more or request a free quote, call us now on 1800 538 837.